Douglas Rossi has spent his entire twenty-two year legal career representing clients in FELA cases. Doug began his career in 1992 with Rossi Vucinovich PC and has continued the railroad tradition of his family. After emigrating from Italy as a teenager, Doug’s Grandfather, Valentine Rossi, worked in train service for the Denver &amp; Rio Grande Western Railroad. Doug’s Father, John Rossi, devoted his entire legal career to representation of injured railroad workers, trying hundreds of FELA and personal injury cases throughout the western United States. Doug continues the family tradition of representing the rights of rail labor and their families to this day. After graduating from Gonzaga University, Doug attended law school at the University of Denver. He graduated in 1992 and immediately began practicing with Rossi Vucinovich PC. Doug has represented railroaders in all aspects of FELA claims since that time. 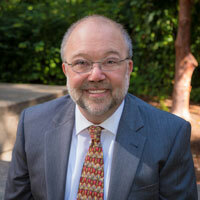 Doug specializes in motion practice and issues involving legal research and writing. Doug is also versed in probate law in Colorado, and provides estate planning and estate administration services for both railroad and non-railroad clients. Doug is admitted in the state and federal courts of Colorado, and the federal court of Arizona, and is a member of the Colorado Bar Association. While his children were young, Doug was actively involved in non-profit youth soccer organizations in Colorado, serving as a member of the Board of Directors and President of the Aurora Soccer Club and Colorado Fusion Soccer Club, which is now the youth program for the Colorado Rapids. For the past 5 years, Doug has devoted his time to teaching in the legal profession, serving as an adjunct professor in the paralegal program at the Community College of Aurora. Doug teaches classes in Legal Research &amp; Writing, Torts, Civil Litigation, and Probate and Estate law.